Psypoke - View topic - Best Water type? use Starmie; but I found a Ralts with a Modest nature, and I'm not about to pass that up . Also, I happen to be in Dewford; I just defeated Brawly. Let's see... you already have a Fire, Electric/Steel, Psychic, Dragon/Ground, and Dark/Grass. So you should not pick a Water type which has a second type that matches one of these. 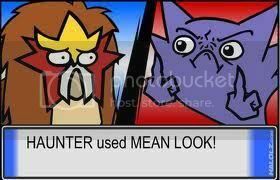 This eliminates Pokemon such as Swampert, Sharpedo, Ludicolo, and Whiscash. Given that you are playing Hoenn, I'll not suggest Pokemon that you can't catch in the region, given also my assumption that you can't trade. Milotic, if you can find Feebas, Walrein, or Lanturn are possible choices. I'll replace Linoone with some water type. Well, first of all, your team currently has a weakness to fighting, because Magnemite, Nosepass, and Cacnea (when it evolves into Cacturne) are all weak to fighting moves, so you shouldn't use Pokémon weak to fighting, like Relicanth and walrein. Milotic is probably the best choice. Might I suggest using Flygon instead of Nosepass? That would take away your weakness to fighting, and then Milotic could be in your last slot. Well, first if all, Flygon is not a particularly easy Pokemon to raise until Trapinch evolves into Vibrava; it's not worth it in my opinion. Second, Flygon has a 4X weakness to Ice, a much more common type in Emerald than Fighting. 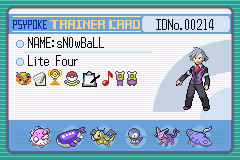 Yes, I'm playing Emerald. My Gardevoir will take care of Fighting types, as well as a Skarmory I have in the Daycare. Secondly, I can't use Milotic because you can't get the must-have Pamtre Berry til AFTER the E4. word "CONTEST" in the vocabulary. That leaves Walrien, Relicanth, and Wiscash. Using Milotic and Flygon defeats the purpose of it. Somebody help me off my soapbox please. Actually you could use Hondew (or berries around there), in fact I usually use those for evolving Feebas if it's not a contest pokemon. I would think about Huntail, Gorebyss, or Kingdra, and would probably prefer them. But, I can not trade with anyone until my friend finds his Ruby version, or buys a new one. That's a good idea though- And I didn't think of Hondew Berries. Admittedly I did want to try out Milotic before, but didn't have the patience. By the way, where exactly is the Hondew Berry? I know it's on Route 119, but where exactly is it on route 119? idk for sure, there are several berry patches on Route 119. You could try looking at all of them. According to the Psydex, you can also get them from the Berry Master by chance. I can't recall exactly, but can't you find it on Route 119, as in, growing on the soil there? 1. Just west of Fortree City. 2. Right above the weather institute, but you need waterfall to get there. 3. Under the long bridge. I think it's on the third one I mentioned but don't take my word for it, it's been about a year and a half since I picked them. For a map of the route click here. EDIT: They are on the 2nd spot, right above the weather institute: Check here. Ok thanks guys! I've decided on Walrien, and so far it's turned out great! I might give Flygon another chance too, though. Or maybe Armaldo. Thank you so much! You have saved me a lot of headaches. The question has already been answered. Last edited by JsXtm on Mon Apr 06, 2009 8:38 pm, edited 1 time in total.